Fantastic news! 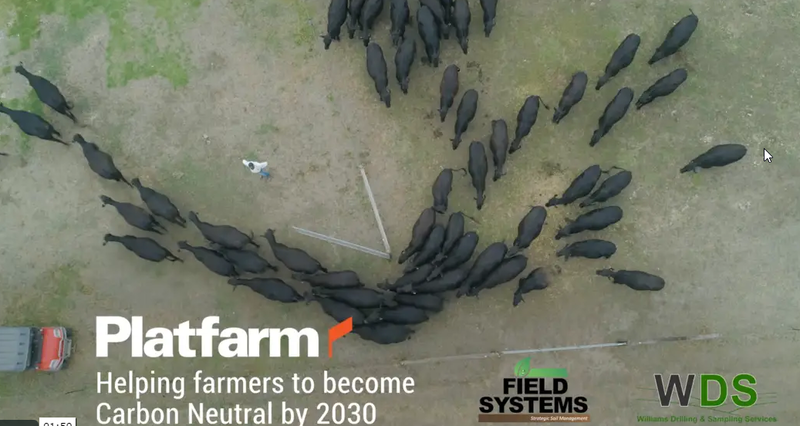 We’re proud to be able to announce that the Platfarm team, in partnership with Williams Drilling and the soil scientists at Field Systems, have won the Carbon Neutral 2030 Challenge from Meat and Livestock Australia (MLA) and Cicada Innovation! We were incredibly excited to be involved, and learnt an enormous amount through participating. The Challenge attracted an impressive range of socially focused technologists, who drew on AgTech expertise as varied as apps, AI, and data innovation. We’re humbled to take out the top honour in such an incredible field. As farmers, tackling climate change is a cause we are passionate about. We care deeply about the land and the legacy we leave behind. If our farms have a chance to become carbon neutral by 2030, measuring our soil organic carbon levels today is a key piece of the puzzle. With that knowledge, we can plan strategically, use resources prudently and effectively, and we can see in 10 years what’s been achieved. This partnership entry between us, Williams Drilling, and Field Systems has created a really practical solution that is reliable, cost effective for farmers, and will give them a significant boost towards achieving RegTech excellence. Platfarm was built for the wine growing industry, but we’ve always been mindful of the core technology’s utility for a broader range of land management purposes. The application of Platfarm in this instance was simple and effective: we created a way for farmers to measure baseline soil organic carbon levels at identified locations, and then to follow them over time. Being able to record and track soil organic carbon levels efficiently and accurately is fundamental to monitoring change, and opens the door to earning carbon credits. With Platfarm this is done in a way that is low cost and easy to use, and we’re now in a position to explore rolling it out to livestock operations across Australia, and then to other forms of agriculture. We’ve also started investigating how this soil data can better integrate with the carbon credit system… and because we love to innovate we have submitted an entry into the South Australian Blockchain Innovation Challenge. We have an amazing partnership team that’s committed to supporting growers increasing these carbon sequestration levels in an easy to audit way. Blockchain could hold the key. Want to know more? Check out Oli’s LinkedIn post “The value of competitions in the AgTech start-up ecosystem” where he goes into more detail about the Platfarm solution and our decision to get involved in the challenge. Also check out the write up from the challenge in today’s Australian (image of article below). As always get in touch with us to sign up to our information list, or reach out via hello@platfarm.com with any questions — we’d love to hear from you. Next PostHello 2019! Platfarm gets started on the challenge of a carbon neutral industry!